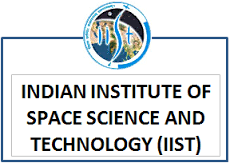 Indian Institute of Space Science and Technology is a government-aided institution that offers various undergraduate, postgraduate and doctorate programmes in areas that are relevant to space science, technology and applications. The Institution was founded in the year of 2007 by ISRO under the Department of Space, Government of India. It has high quality manpower for the Indian Space Research Organization, one of world’s leading scientific organizations engaged in space research and space applications. The exam dates for Ph.D. are listed below. Candidates who are looking forward for admission in IIST UG courses, must qualify their qualifying examination with PCM (Physics, Chemistry and Mathematics) as a main subject. They have to secure at least 70% (60% Sc/ST/PWD) marks as an aggregate in the qualifying examination. Candidates who belong to the GEN and OBC category must have been born on or after October 1, 1991. Candidates of SC, ST and PWD categories must have born on or after October 1, 1986. General Candidates: At least 20% marks in aggregate and at least 5% marks in each of the three subjects (Physics, Chemistry and Mathematics). OBC (Non Creamy Layer) Candidates: At least 18% marks in aggregate and at least 4.5% marks in each of the three subjects (Physics, Chemistry and Mathematics). PG Courses:- Candidates have to pass their BE/B.Tech/M.Sc/M.S. or equivalent degree in first class with an aggregate minimum of 60% marks or CGPA 6.5 out of 10. A valid score is applicable in GATE/JEST/UGC NET in relevant area for which candidate apply. The IIST application form will be available from the starting month of the June, 2018 and continue till the last week of June, 2018.Before registration, candidate must have their JEE Main 2018 or JEE Advanced 2018 roll number and a valid email id. Male Candidates of General/OBC Category must pay INR 600/-. Female candidates of General/OBC Category must pay INR 300/-. For Indian Citizens : The candidates from India requesting for the application have to make the payment through Challan downloaded and printed from the IIST 2017 website. The payment should be done after the next day of successful online registration of the application. The payment can be done in any of the branches of State Bank of India (SBI) and Union Bank of India. It is required to upload the scanned image of Challan in PDF/JPEG format countersigned and stamped by the bank. Admit cards are available through the online medium only. The Admit Card for the session 2018 will be available on the official website of IIST in the last week of the June month, 2018. The candidates are required to download the admit card in the PDF file and do take a print, the applicants will not be allowed without the admit card and a photo identification card. The rank list for UG courses will be published in the last week of June 2018 (tentative). Rank list will be based on their position in All India Rank list (including category wise). The admission in the UG and dual-degree programmes will be based on the JEE Main 2018 and JEE Advanced 2018. Only those candidates who clear the cut-off set by the IIST will be eligible for admission on the bases of the merit. Counselling will be started from the first week of July 2018(tentative). During the counselling, candidate will be called in the order of their IIST ranks. Candidate eligibility and original documents will be checked and if it found ok they will give their choice(s) of branch and the order of preference. Candidate will be allotted a confirmed seat for a branch where seats are available. If candidate accept the confirmed seat allotment, they will submit all their original documents with IIST on the day of counselling itself. Those candidates accept provisional admission; they will deposit their documents at any of the counselling centres or at IIST. If they will not submit the documents on a given time period then their admission will be automatically cancelled. IIST 2018 is been conducted in twenty two cities across India. The IIST Test Centre once allotted will be final and no requests for change shall be entertained.